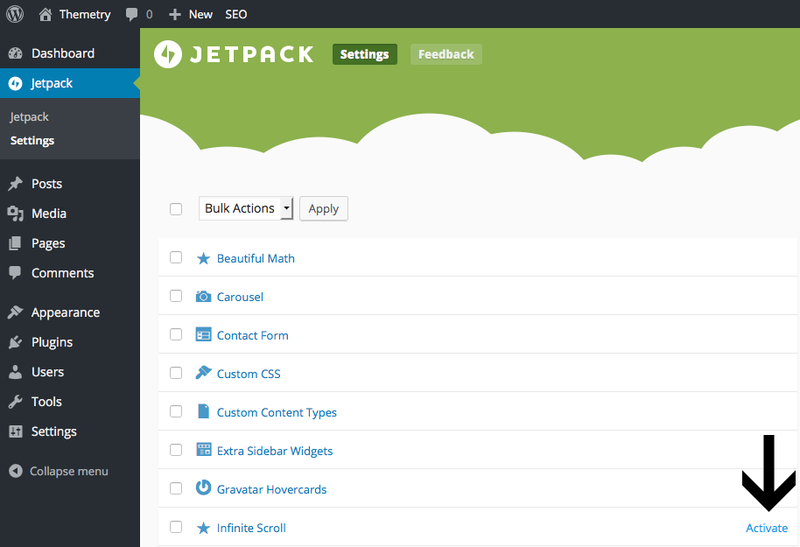 All of our themes support the Jetpack Infinite Scroll module. We’re assuming you’ve already installed the free Jetpack plugin by Automattic, the company behind WordPress.com. Infinite Scroll will replace the default pagination in the theme, either previous/next links or numbered pagination, by simply loading new posts as the visitor scrolls down the page. This can offer a more fluid experience to your website visitors who want to quickly browse through lots of pages of posts without waiting for a new page load. Navigate to Jetpack → Settings, scroll down to Infinite Scroll and click the “Activate” button. And that’s literally all you have to do. The theme will handle the rest. By default, new posts will load when the page is scrolled down far enough. However, you can make sure new posts are only loaded when a button is clicked. 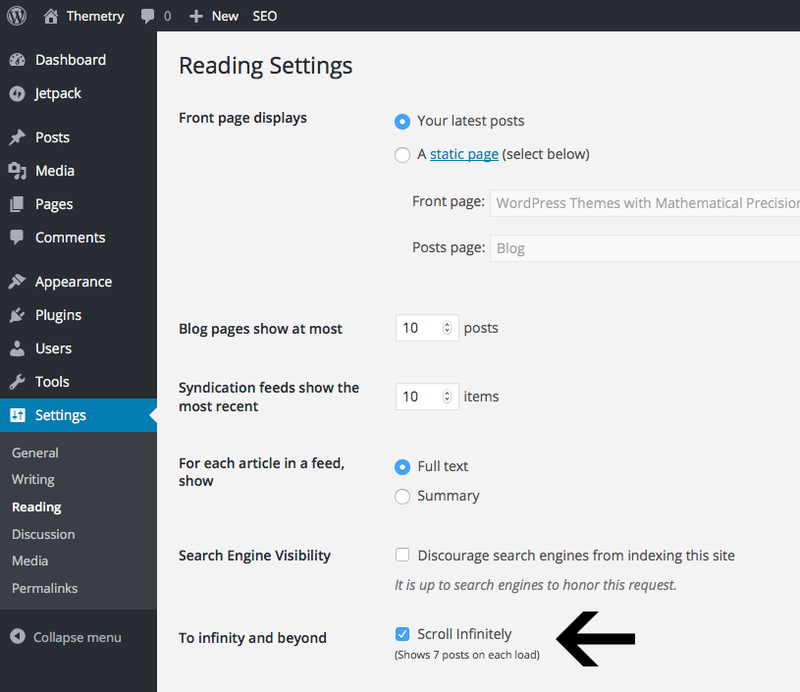 Navigate to Settings → Reading, and uncheck the “Scroll Infinitely” option, then click the “Save Changes” button.